below to sign up for our Sport Fishing Newsletter. Fishing reports and news delivered each week to your email in-box. You’ve got the wide open sea before you, and you need to catch swordfish. Where do you start? Capt.. Randy Towe let water temperature be his guide. A steamy 87-degree pocket turned out to be the hot spot as his team beat 22 others to win the second annual Islamorada Swordfish Tournament on Friday and Saturday. In about 2,000 feet of water, his angling team caught seven swordfish over the two-night tournament for 726.2 points. Two of those game fish were more than 60 inches, jaw to fork, so they could be weighed in. The heavier tipped the scales at 122 pounds, the other 105. Islamorada, Florida Keys. Known to many as The Sport Fishing Capital of The World. With the warm waters of the gulf stream just a few miles offshore, Florida keys boat rentals, Scuba diving, snorkeling and fishing on the coral reefs from 5-90 feet deep all along the Florida Keys island chain, and the skinny waters of the Florida Bay backcountry a short boat ride away, it's easy to see where Islamorada got it's name. 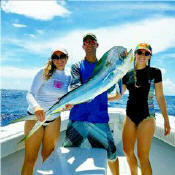 Anglers from all over the world come to sample the fabulous Florida Keys fishing. Islamorada Sport Fishing Online will provide you with the information you need to target the Florida Keys fish you want to catch. There are hundreds of Charter Boats and Backcountry Guides in the Florida Keys and we strive to provide you with the most accurate, up to date listings anywhere. Our Florida Keys rental boat listings are unparalleled. Ready to wet a fishing line? Try the links at left and come fishing in the Florida Keys. Visit our Online Fishing Forums - Get in on the Action! Posted recently in our Ask The Captain forum. The "Sea Horse" was custom designed and built for maximum fishing space and FUEL EFFICIENCY making us one of the best priced boats for our size in Islamorada. Whether we're fishing for Dolphin (the fish), Wahoo, Sailfish, Tuna or other offshore species, the "Sea Horse" is comfortable for 1 to 6 anglers. We don't have A/C, TV, or fancy carpeting, but we do have a large fish box, and a professional, courteous crew that will make your trip a lot of fun. The DEE CEE is a 42’ custom fiberglass over mahogany wood Sportfisherman. The boat is powered by clean-burning twin 3208 Caterpillar engines. It has a large fishing cockpit with 4 fighting chairs, and an open salon with a table to enjoy your lunch and a couch for resting or to get out of the sun. We use Penn and Dawia fishing reels with Lowrance electronics to make for a successful day of fishing. Large State of the Art Center Console with a Head! 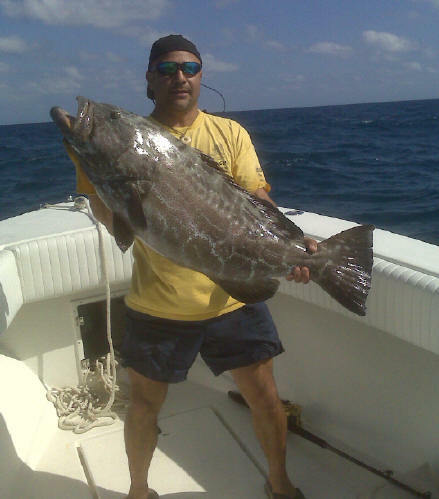 Catchalottafish Charters specializes in Offshore, Reef, Wreck, and Tarpon adventures! We offer the fishing trip of a lifetime, without the price tag that will take a lifetime to pay. 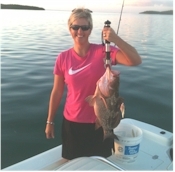 Her Captain is a Native of the Florida Keys, which is very rare these days, and WILL put you on the fish. So come on down and spend the day with Catchalottafish Charters, where the name says just what we’ll do....Catch a lot of fish! Located at the world famous Bud n' Mary's Fishing Marina. The 44' air-conditioned sportfisherman Redfish offers a variety of fishing options including wreck, reef, offshore, deep dropping, overnight and day swordfishing. Showing and teaching anglers the thrill of saltwater fishing has never been a job to me. I not only love to take people fishing, I love fishing myself. So whether you're an avid angler or a first timer, no matter what your age, my promise to you is that we'll have a great time out on the water. My no.1 goal when we're out fishing is for you to catch what You want, and to have the best time possible doing it. 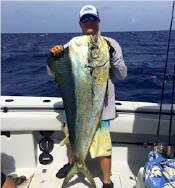 Offshore fishing in the Florida Keys is one of a kind! There are many different species of game fish located in the blue waters off the Florida Keys and that is what makes fishing Islamorada an unforgettable experience! Whether you want to target Tuna, Dolphin (Mahi-Mahi), Sailfish, Wahoo, Kingfish, Amber Jack, Marlin or Swordfish Blu Sushi charters has you covered! All Lit Up Charters is always ready to find the big one! With a professional fishing service that is second to none, nothing will be held back when your fish is ALL Lit Up and ready to eat! Only the finest live baits, tackle, and equipment will be used to ensure that your chance of a lifetime doesn't get away! Come fishing in the Florida Keys backcountry, Everglades National Park, Flamingo and the legendary Islamorada bonefish flats with father & son fishing team Captain Ted Benbow and Captain Donnie Benbow, both are natives to the Florida Keys. We offer two new boats for you to choose from both with top-of-the line equipment and powered by Mercury. We target all major species: Bonefish, Permit, Tarpon, Redfish, Snook, Sea Trout, Spanish Mackerel, Snapper and Sharks. Come fishing with a true Florida Native and 3rd generation charter captain. Nothing compares to fishing in Florida Bay, the backcountry or everglades national park away from crowds and stress. 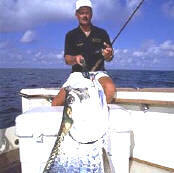 Captain Ron targets all backcountry species: Tarpon, Trout, Redfish, Snook, Permit, Bonefish, Snapper, Shark & Grouper. Night Time Shark & Tarpon trips available plus group trips. Novice through expert welcome. Fishing all over the world and perfecting the saltwater techniques needed to be a top fishing guide has been one of Capt. Jeff's life dreams since he was a boy. He started his career in Marathon, which took him eventually to places such as Costa Rica, all over Central America, and too many places to name in the Baja and mainland Mexico. Let Capt. 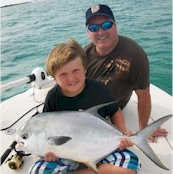 Jeff help you to catch your fish of a lifetime in the heart of the Florida Keys! Advertising with us makes sense! We have many partner opportunities available. Check It Out!